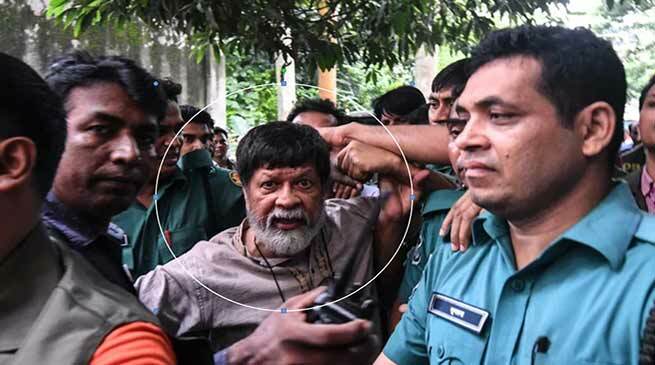 Protesting the arrest of the world-renowned photojournalist Shahidul Alam on August 5 at Dhaka, Bangladesh, the Indian Journalists Union (IJU) today demanded Bangladesh prime minister Sheik Hasina’s intervention into the matter. The IJU in its representation to Hasina appealed for the immediate release of Alam, and also to withdraw cases under the Information and Communication Technology Act against more than 20 journalists for doing their duty of reporting news. Alam was apparently arrested for publishing his photos of the ongoing student agitation in Bangladesh in social media and in several publications world over and is being reportedly charged under the Information and Communication Technology Act, which is being used to gag the media in the country. ‘It seemed the authorities were incensed over his comments unpalatable to them in his social media posts and in an interview to Al Jazeera news channel on the agitation,’ stated the union. ‘The working journalists, particularly the photojournalists in India and all over the world are very much concerned over the arrest of Shahidul Alam and consider it as a direct attack on the freedom of expression and freedom of the press, essential pre-requisites in a democracy’, the union added in its representation.